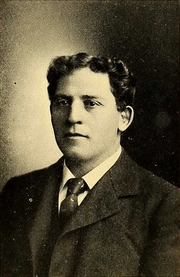 Amos Alonzo Stagg (August 16, 1862 – March 17, 1965) was an American athlete and college coach in multiple sports, primarily American football. He served as the head football coach at the International Young Men's Christian Association Training School (now called Springfield College) (1890–1891), the University of Chicago (1892–1932), and the College of the Pacific (1933–1946), compiling a career college football record of 314–199–35. His Chicago Maroons teams of 1905 and 1913 have been recognized as national champions. He was also the head basketball coach for one season at the University of Chicago (1920–1921), and the head baseball coach there for 19 seasons (1893–1905, 1907–1913). At the University of Chicago, Stagg also instituted an annual prep basketball tournament and track meet. Both drew the top high school teams and athletes from around the United States. Stagg played football as an end at Yale University and was selected to the first College Football All-America Team in 1889. He was inducted into the College Football Hall of Fame as both a player and a coach in the charter class of 1951 and was the only individual honored in both roles until the 1990s. Influential in other sports, Stagg developed basketball as a five-player sport. This five-man concept allowed his 10 (later 11) man football team the ability to compete with each other and to stay in shape over the winter. Stagg was elected to the Basketball Hall of Fame in its first group of inductees in 1959. Stagg also forged a bond between sports and religious faith early in his career that remained important to him for the rest of his life. Stagg was born in a poor Irish neighborhood of West Orange, New Jersey, and matriculated at Phillips Exeter Academy. Stagg attended Yale College, where he was a divinity student, and a member of the Psi Upsilon fraternity. It is lesser known that he was a member of "The Order of the Skull and Bones," a controversial secret society with members including multiple former U.S. presidents. He played as a pitcher on his college baseball team; he declined an opportunity to play for six different professional baseball teams. He nonetheless influenced the game through his invention of the batting cage. Stagg played on the 1888 team. He was an end on the first All-America team, selected in 1889. He later abandoned the theology career and received a MPE from Young Men's Christian Training School (now known as Springfield College) in 1891. On March 11, 1892, Stagg, still an instructor at the YMCA School, played in the first public game of basketball at the Springfield YMCA. A crowd of 200 watched as the student team beat the faculty, 5–1. Stagg scored the only basket for the losing side. He popularized basketball teams having five players. Stagg became the first paid football coach at Williston Seminary, a secondary school, in 1890. This was also Stagg's first time receiving pay to coach football. He would coach there one day a week while also coaching full-time at Springfield College. Stagg then coached at the University of Chicago from 1892 to 1932. Eventually, university president Robert Maynard Hutchins forced out the septuagenarian Stagg, who he felt was too old to continue coaching. At age 70, Stagg moved on to the College of the Pacific in Stockton, California, where he coached from 1933 to 1946. In 1946 Stagg was asked to resign as football coach at Pacific. In the 1924 Summer Olympics, he served as a coach with the U.S. Olympic Track and Field team in Paris. Stagg played himself in the movie Knute Rockne, All American released in 1940. From 1947 to 1952 he served as co-coach with his son, Amos Jr., at Susquehanna University in Pennsylvania. Stagg's final job was as kicking coach at the local junior college in Stockton, California, which was then known as Stockton College. "The Grand Old Man of Football" retired from Stockton College at the age of 96 and later died in Stockton, California, at 102 years old. During his career, he developed numerous basic tactics for the game (including the man in motion and the lateral pass), as well as some equipment. Stagg was married to the former Stella Robertson on September 10, 1894. The couple had three children: two sons, Amos Jr. and Paul, and a daughter, Ruth. Both sons played for the elder Stagg as quarterbacks at the University of Chicago and each later coached college football. In 1952, Barbara Stagg, Amos' granddaughter, started coaching the high school girls' basketball team for Slatington High School in Slatington, Pennsylvania. Two high schools in the United States, one in Palos Hills, Illinois, and the other in Stockton, California, and an elementary school in Chicago, Illinois, are named after Stagg. The NCAA Division III National Football Championship game, played in Salem, Virginia, is named the Stagg Bowl after him. The athletic stadium at Springfield College is named Stagg Field. The football field at Susquehanna University is named Amos Alonzo Stagg Field in honor of both Stagg Sr. and Jr. Stagg was the namesake of the University of Chicago's old Stagg Field where, on December 2, 1942, a team of Manhattan Project scientists led by Enrico Fermi created the world's first controlled, self-sustaining nuclear chain reaction under the west stands of the abandoned stadium. At University of the Pacific in Stockton, California, one of the campus streets is known as Stagg Way and Pacific Memorial Stadium, the school's football and soccer stadium, was renamed Amos Alonzo Stagg Memorial Stadium on October 15, 1988. Phillips Exeter Academy also has a field named for him and a statue. A field in West Orange, New Jersey on Saint Cloud Avenue is also named for him. The Amos Alonzo Stagg Award is awarded to the "individual, group or institution whose services have been outstanding in the advancement of the best interests of football." The winner of the Big Ten Football Championship Game, started in 2011, receives the Stagg Championship Trophy, named in his honor. At the College of William and Mary, the Amos Alonzo Stagg Society was organized during 1979–1980 by students and faculty opposed to a plan by the institution’s Board of Visitors to move William and Mary back into big-time college football several decades after a scandal there involving grade changes for football players. The Society was loosely organized, but successful in combating, among other plans, a major expansion of the William and Mary football stadium. Collections of Amos Alonzo Stagg's papers are held at the University of Chicago Library, Special Collections Research Center and at the University of the Pacific Library, Holt Atherton Department of Special Collections. The Alonzo Stagg 50/20 Hike goes through Arlington, Virginia, Washington, DC and Maryland. The Stagg Tree, a giant sequoia in the Alder Creek Grove and the fifth largest tree in the world, is named in honor of Amos Alonzo Stagg. The Amos Alonzo Stagg Bowl, otherwise known as the NCAA Division III Football Championship Game since 1973, is competed annually as the final game of the NCAA Division III Football Tournament. The Stagg Bowl can be traced back to 1969, prior to the inception of the D-III national championship. At that time—from 1969 to 1973—the Stagg Bowl was one of two bowls competed at the College Division level—the Knute Rockne Bowl and the Amos Alonzo Stagg Bowl. In 1973, the NCAA instituted the D-III national championship, and the Stagg Bowl was adopted as the moniker for that game. The first 10 Stagg Bowls were played in Phenix City, Alabama, from 1973 to 1982. Wittenberg University (Ohio) won the inaugural game via a 41–0 result over Juniata College (Pa.). The game moved to Kings Island, Ohio, for the 1983 and 1984 editions, with Augustana College (Ill.) winning the first two of its four straight NCAA titles. The Stagg Bowl returned to Phenix City for five more years, before spending three seasons in Bradenton, Florida. In 1993, the Stagg Bowl moved to Salem, Va., where it has been competed each year since (20 games after the 2012 championship). The University of Mount Union (formerly Mount Union College) won the first of its NCAA Division III-record 13 football national championships in 1993. The following is a list of innovations Stagg introduced to American football. Where known, the year of its first use is annotated in parentheses. Stagg is noted as a 'contributor' if he was one of a group of individuals responsible for a given innovation. ^ "Special Collections Research Center - Special Collections Research Center - The University of Chicago Library". www.lib.UChicago.edu. Retrieved October 23, 2017. ^ "STAGG DIES AT 102; DEAN OF COACHES; 76 Years in College Football -- On First All-America $TAGGDIESATt02; DEAN OF GOACHES Football's Patriarch Led College Teams 70 Years" (PDF). NYTimes.com. Retrieved October 23, 2017. ^ "STAGG IS RETIRED AS CHICAGO COACH". The New York Times. Associated Press. October 14, 1932. Retrieved October 25, 2010. ^ "COP, Stagg Still Confer". San Francisco: Lodi News-Sentinel. December 2, 1946. Retrieved April 22, 2012. ^ "CPS : Schools : School". www.CPS.edu. Retrieved October 23, 2017. ^ "Home Page - Stagg". district.d230.org. Retrieved October 23, 2017. ^ "School Loop: Participating Schools". ashs-susd-ca.SchoolLoop.com. Retrieved October 23, 2017. ^ "Stagg Field". Archived from the original on November 5, 2011. Retrieved November 17, 2011. ^ "Amos Alonzo Stagg Field at Nicholas A. Lopardo Stadium". Retrieved November 17, 2011. ^ "The Manhattan Project". Archived from the original on October 28, 2011. Retrieved November 17, 2011. ^ "Stagg Memorial Stadium". Retrieved November 17, 2011. ^ "Athletic and Outdoor Facilities". Retrieved November 17, 2011. ^ "West Orange, NJ - Official Website". www.WestOrange.org. Retrieved October 23, 2017. ^ a b "Amos Alonzo Stagg Award". AFCA.com. Archived from the original on February 10, 2015. Retrieved October 23, 2017. ^ Associated Press (November 14, 2011). "Big Ten removes Joe Paterno's name from championship trophy". The Detroit News. ^ "Guide to the Amos Alonzo Stagg Papers 1866-1964". Retrieved July 16, 2013. 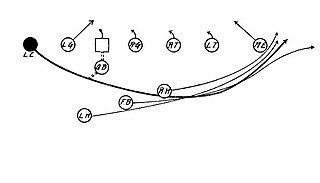 ^ "Amos Alonzo Stagg Collection" (PDF). Retrieved November 17, 2011. ^ "Alonzo Stagg 50/20 Hike - BSA Troop 111 Arlington, Virginia". Troop111.org. Retrieved October 23, 2017. ^ a b c d e College Football: The Coach, Time magazine, March 26, 1965. ^ "Germany Schulz". College Football Hall of Fame. Archived from the original on February 13, 2015. Retrieved December 17, 2007. ^ a b c Journal of Health, Physical Education, Recreation, Volume 44, p. xviii, American Association for Health, Physical Education, and Recreation, 1973. Considine, Bob (1962). The unreconstructed amateur: a pictorial biography of Amos Alonzo Stagg. Amos Alonzo Stagg Foundation. Danzig, Allison (1956). The History of American Football: Its Great Teams, Players, and Coaches. Englewood Cliffs, NJ: Prentice-Hall. Davis, Jeff (2006). Papa Bear. McGraw-Hill Professional. ISBN 0-07-147741-1. Lester, Robin (1995). Stagg's University: The Rise, Decline, and Fall of Big-time Football at Chicago. University of Illinois Press. Otto, J. R. (1969). Football. Taylor & Francis. Perrin, Tom (1987). Football: A College History. McFarland. Robbins, Alexandra (2002). Secrets of the Tomb: Skull and Bones, the Ivy League, and the Hidden Paths of Power. Little, Brown and Company. Stagg, Amos Alonzo (1927). Touchdown! : As told by Coach Amos Alonzo Stagg to Wesley Winans Stout. Longmans, Green and Co.
Whittingham, Richard (2001). Rites of Autumn. Simon and Schuster. ISBN 0743222199. Wulf, Steve (2009). The Mighty Book of Sports Knowledge. Random House, Inc.